Five hundred miles from Cape Horn, across the infamous Drake Passage, lies the great white wilderness of Antarctica. It’s one the few places on earth that remains inaccessible to all but the hardiest travellers. 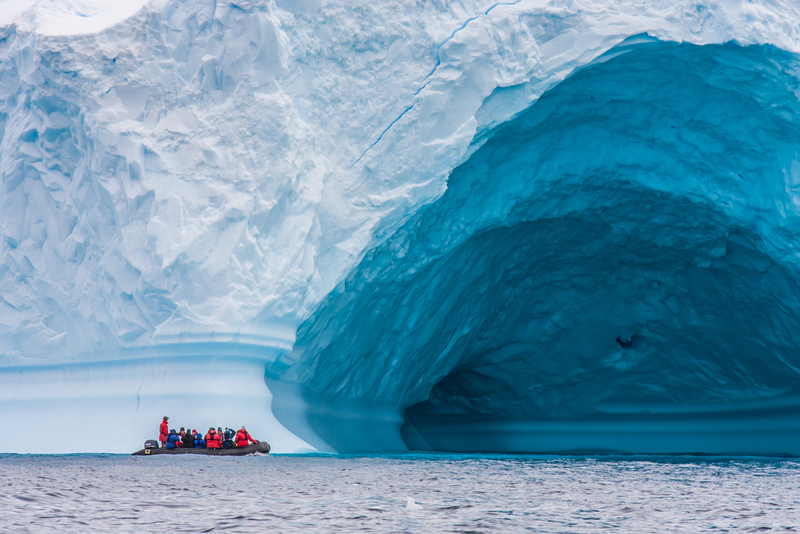 And as if the natural barriers weren’t enough, numbers are tightly controlled by the International Association of Antarctica Tour Operators (IAATO). Last year a mere 36,686 visitors experienced this incredible place, compared to around one million who ventured to its northern counterpart in Alaska. Those who do make the journey are rewarded with a truly majestic landscape, a chance to marvel at gigantic white-blue icebergs and to watch whales break the icy silence. Fewer than 10 per cent of those visiting Antarctica are currently from the UK, but that figure looks set to rise. 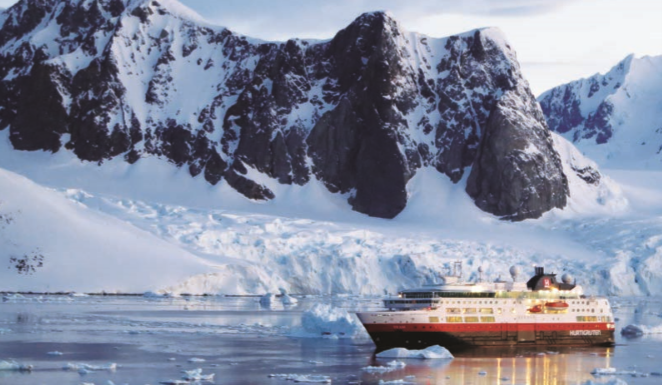 Norwegian cruise company Hurtigruten has added 10 extra sailings in 2016-2017, with two new discovery ships on order for 2018 and 2019, and Seabourn Cruises has created special itineraries with five included tours and kayaking adventures led by Antarctica expert Robert West. Adventure tourism is one of the world’s fastest growing travel trends, and the market has expanded by almost 200 per cent in the past two years alone. But Antarctic cruises will never have mass appeal, for three very good reasons:cost, starting from around £4,000 for UK passengers; environmental rules regarding the type of fuel ships can use and thereby restricting their size; and finally the Drake Passage itself. In this stretch of water, separating the tip of South America from the South Shetland islands at the fringe of Antarctica, three oceans meet head on – the Atlantic, Pacific and the Southern. The two-day sailing can be rough, to say the least. 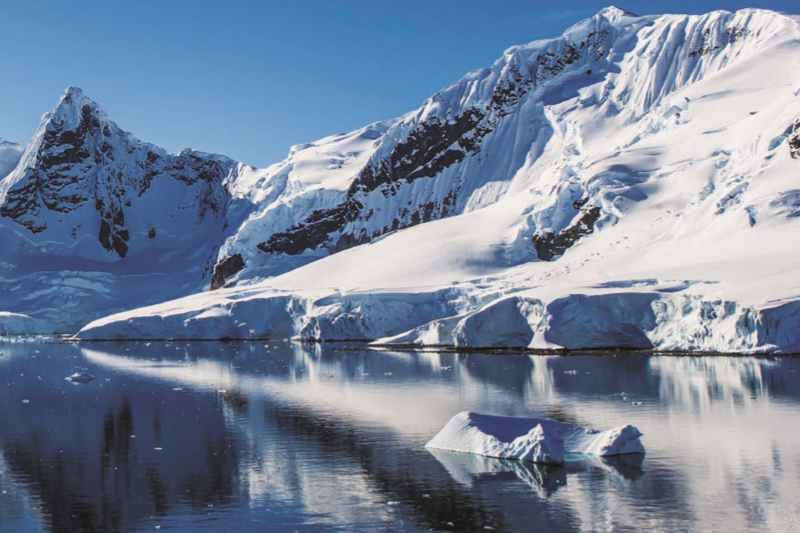 IAATO imposes strict rules to protect the Antarctic environment, and cruise captains are obliged to minimise human impact. No more than 100 people are allowed ashore at once, and there is a time-limit on their stay. 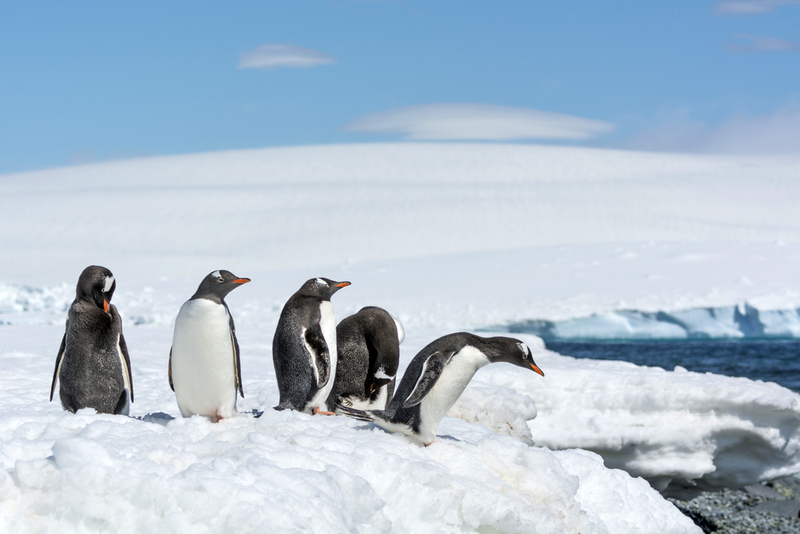 Ship’s expedition leaders also ensure that passengers get no nearer than five metres from the penguins and leave greater distances for seals and nesting birds. To safeguard the eco-system, all boots must be washed and disinfected before going ashore, and again on re-embarkation, to avoid the spread of bacteria. And nothing can be removed from the region – not even pebbles, which the penguins need to make their nests. Most voyages depart from Ushuaia, Argentina, but expedition cruises often include the Falklands and South Georgia too. Smaller expedition ships allow you to go ashore on Zodiac boats, while on larger vessels it’s more of a sightseeing cruise – though you can still see plenty of dramatic scenery and wildlife from the comfort of your ship. Full-on adventure-seeking expedition passengers can go cross-country skiing, ice climbing, hot-air ballooning or even camping overnight for a better chance to get to close to the ice floes, though many excursions come at an extra cost so homework is advised. 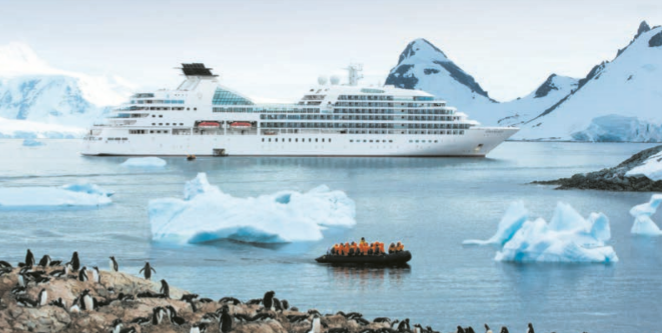 Seabourn offers guests one complimentary trip per day, on Zodiacs, to penguin colonies, icebergs and polar stations, spread over six days in Antarctica. Guests can also opt to pay for additional “Ventures by Seabourn” trips, using Kayaks in much smaller groups with expert expedition guide Robert West. Onboard lectures by biologists, historians and conservationists give cruise passengers a deeper understanding of the “seventh continent” and its lasting allure for the world’s explorers and scientists, and most ships offer lectures on the early 20th century Race to the South Pole, with heroic stories of Scott, Shackleton and Amundsen. This August sees the 100th anniversary of the rescue of Ernest Shackleton’s men, following the sinking of his ship Endurance late in 1915 (not a single member of the expedition died, making this one of the great survival stories in history). Anyone thinking of travelling to Antarctica will find the best starting point for research is offered by the British Antarctic Survey (bas. ac.uk) and the International Association of Antarctic Tour Operators (iaato.org). This is the land of the penguin, and you can expect to see four species – the Adelie, Emperor, Chinstrap and Gentoo. Other birdlife includes petrels, fulmars, skuas and the Wandering Albatross, famously the world’s largest flying bird. Closer to the shore you’ll also find Leopard, Weddell, Ross and Crabeater seals. Finally everyone wants to see the giants of the sea – and with the Right, Blue, Sei, Humpback, Minke, Fin, Sperm and Killer whales all a common sight in these icy waters, you won’t go home disappointed. The name Arctic comes from the Greek word Arktos, which means bear – from the Great and Little Bear constellations seen only in the Northern Hemisphere. Antarctica is the opposite of “the land of the bear” on the other side of the planet. “The Antarctic” is a general term for any location south of latitude 66.5 degrees, whereas “Antarctica” is the name of the continent itself. Some 40 million years ago, after detaching from the Australian continent, Antarctica settled into its present polar position and began to cool dramatically. It is 1.3 times the size of Europe, the ice averages more than a mile thick and the lowest temperatures on earth have been recorded here – minus 94.7C. ■ The best time to explore Antarctica is from late November to the end of February.